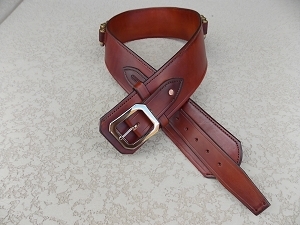 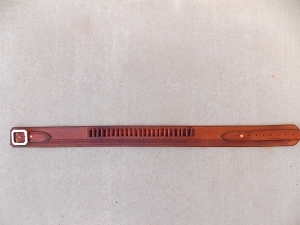 Single Bead Cartridge Belt: This ranger style cartridge belt is 2 1/2" wide and fully lined. 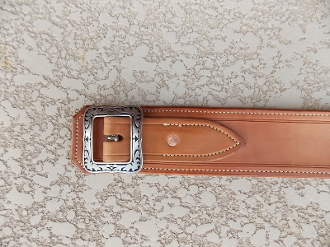 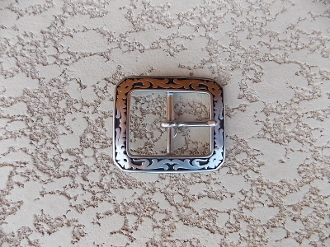 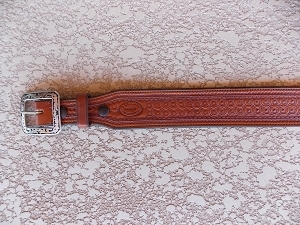 This belt is finished with a bead on the top and bottom and is shown with the optional floral clip corner buckle. 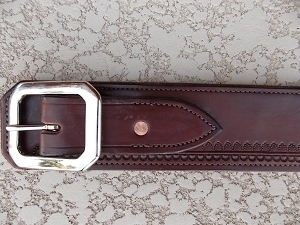 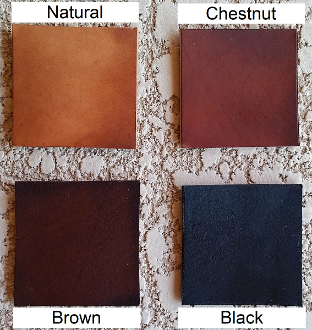 You can order this cartridge belt in black, brown, chestnut or natural as shown.